McGraw, Mick (2018) Explorations in Print. 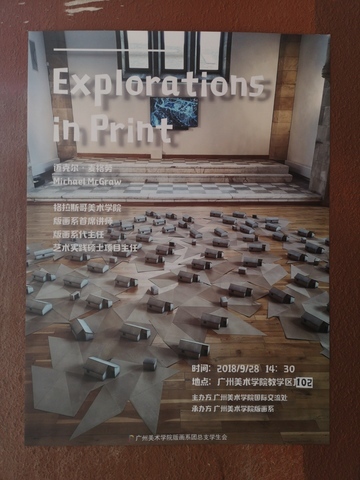 In: Explorations in Print, 28 September 2018, Guangzhou Academy of Fine Art, China. I was invited to deliver a Lecture to students at Guangzhou Academy of Fine Art, China in September 2018 on "Explorations in Print" in relation to my own practice and approach to Printmaking and to my ethos on teaching print in an academic context. This included a visual presentation of my work and some work from graduates from the MLiitt Programme at GSA.